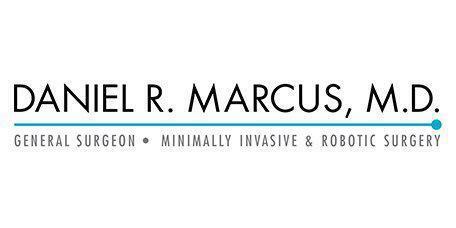 Dr. Marcus provides diagnosis and treatment for appendicitis and GERD utilizing LINX and helps patients from Marina del Rey and West Los Angeles, California when GERD surgery is required. Instead of being on lifelong medication which is shown to have long-term effects on the red blood cells and kidneys, there is a minimally invasive anti-reflux procedure Dr. Marcus can offer. The Linx Reflux Management System works with the body’s natural anatomy to prevent acid from traveling back up the esophagus causing heartburn or regurgitation but also allows the stomach to vent, meaning the patient can still belch and vomit when enough pressure builds. Performed under laparoscopic surgery, Dr. Marcus places a flexible band of titanium magnetic beads, which are connected by independent wires, around the bottom of the esophagus where it connects to the stomach. The band is designed to temporarily open so that food can pass to the stomach after swallowing, but then immediately closes. The magnetic attraction of the band mimics the body’s natural barrier to reflux. During the procedure, which only takes 40 minutes, the patient is placed under general anesthesia so they experience no pain. The physicians make five tiny incisions (5mm) through the stomach to allow the LINX System to be positioned by a specialized sizing tool. The ends of the LINX system align and join for a secure closure. The LINX System does not actually pinch the esophagus or alter the patient’s anatomy in any way. Instead, it creates a natural barrier for effacement. Patients are able to return home the same day of the procedure and resume normal activity within a few days. Unlike the fundoplication technique, patients are able to eat normally right away as opposed to being restricted to a liquid diet. Although some patients report being able to feel the band, this sensation disappears within a couple weeks.